Round 7 of the ten-race Wiggins Teape Paperchase. It was a race of attrition and there were only 15 finishers. In the smallest class (Group B), Ivor Greenwood [sic] (Imp Sport) was the closest to McGovern but by the finish he had been lapped by the leaders. The Imp features in the Frank Gardner/ Camaro video, in a race at Thruxton. Maybe this one. Goodwin sold the Imp to Chrysler Sweden. Tommy 'Slim' Borgudd (Sweden) drove it on behalf of the Chrysler importers. Borgudd competed in saloon cars for 4 years, from 1972 to 1975. 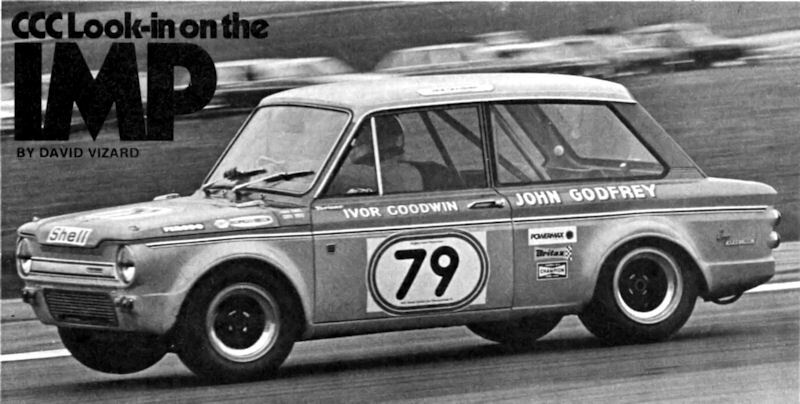 The first saloon being Goodwin's Sunbeam Imp [source]. This Imp was purchased by 'doc knutsen' ca. 1978 from Mats Warg of Falun [source]. Doc re-built it into a Ray Payne/Hartwell lookalike (2005). Mr. Goodwin changed to the Formula 3 champioship, both Britain Lombard North Central as well as Britain BARC Forward Trust. Not in a Vixen, but in a Modus M1 (Ford TC). An experienced businessman of more than 30 years standing, Ivor Goodwin has been involved in the motorsports industry in a number of significant roles ­ driver, team owner and manufacturer, all based in part on his training as an automotive engineer. Today, his enthusiasm for motorsports remains as great as ever, and he has developed a tremendous empathy with those involved at all levels. He holds several directorships and is a former branch Chairman of the Institute of Directors in the United Kingdom. 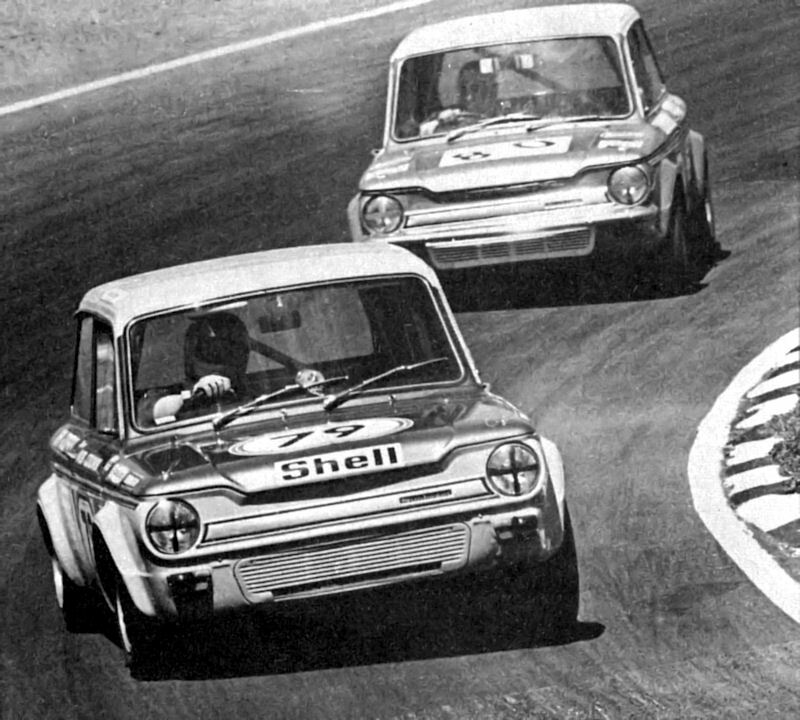 Ivor Goodwin in a John Godfrey Sunbeam Imp at Silverstone International Trophy meeting, 1972.